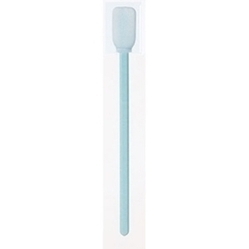 The famous TX714A and other swabs are the standard in clean rooms. For validating and supporting pharmaceutical cleaning, we make use of these Cleaning Validation Swabs. 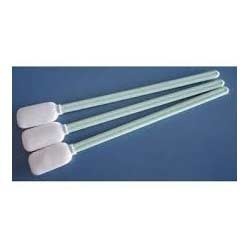 The foam of these Cleaning Validation Swabs is thermally bonded for performing in a hassle-free manner. We are a reliable Manufacturer and Supplier of Cleaning Validation Swabs. We are successfully ranked amongst one of the most illustrious firms, we are readily promised in offering an inclusive spectrum of Industrial Printers Cleaning Swabs to our clients. Made up using pristine grade material along with cutting-edge machines; these are in tune with the evolutions taking place in this business entity. Presence of solidifying agent instantly turns liquid spills into a semi-gel for a quick and safe spill recovery and provides clean and Hygiene dry environment.